Sir James Wilfred Cook (1900-1975) was Regius Professor of Chemistry at the University, 1939 to 1955, and Director of the Chemical Laboratories. Cook studied at University College, London and was a lecturer in Organic Chemistry at The Sir John Cass Technical Institute from 1920 to 1928. He worked as a research chemist at the Royal Cancer Hospital from 1929 to 1939 and he was a Reader in Pathological Chemistry at University of London from 1932 and, from 1935, the Professor of Chemistry there. 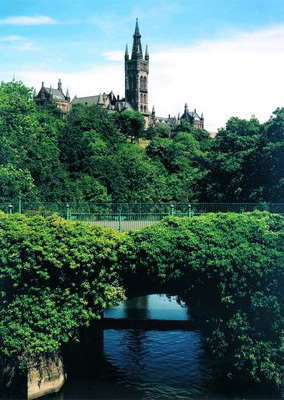 During his time in Glasgow, he continued his cancer research and collaborated with members of his staff on research into alkaloid colchicine and troplones. In 1954, Cook left Glasgow to become Principal of University College of the South West, Exeter and then Vice-Chancellor of the newly-created University. He was knighted in 1963 and was Vice-Chancellor of the University of East Africa from 1966 to 1970. Cook was in great demand to sit on government committees, including the Committee on the Cost of the National Health Service, 1953-1956, and the Advisory Committee on Pesticides and other Toxic Chemicals, 1962-1966. Among other offices, he was President of the Royal Institute of Chemistry from 1949 to 1951. Born 10 December 1900, London, England.